The post Use Scenarios to Network into Jobs appeared first on Christopher S. Rollyson and Associates. I’m grateful to a global investment bank for being my first client! I worked closely with an internal strategy team for over a year and researched disruptive digital social trends that could affect the bank and its wealth management business. This work was very similar to what I did at PricewaterhouseCoopers’ strategy practice because I advised on strategy for a global business dealing with digital disruption. 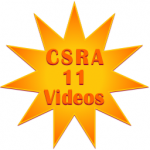 The post CSRA Milestones Ten Years of Experiential Social Media appeared first on Christopher S. Rollyson and Associates. The post Social Media Strategy Good Practices appeared first on Christopher S. Rollyson and Associates. The post Financial Services Social Business Pioneer: Putnam Investments appeared first on Christopher S. Rollyson and Associates. The post Brands’ Facebook Investments Show Increasing Risk appeared first on Christopher S. Rollyson and Associates. This week Twitter and LinkedIn canceled their agreement for easy cross-posting, which begot numerous indignant comments from people who seemed to have forgotten that they were using free infrastructure. Social business platforms are built and managed by venture-backed firms that need to execute on evolving business models, so we can all expect sudden changes from any and all. However, with some foresight and preparation you and your firm can minimize disruptions, which we’ll cover here. Even better, the LinkedIn-Twitter dustup provides strategic insights into how to operate within the digital social ecosystem, and we’ll address those, too. The post The Twitter-LinkedIn Breakup: How to Manage Your Ecosystem Better appeared first on Christopher S. Rollyson and Associates. The post How Brands Cut Their Exposure to Facebook Business Risk appeared first on Christopher S. Rollyson and Associates. Facebook As Investment: No Replacement for Facebook But Pureplays Will Fade shows how the fading importance of social networks is the threat—not competitors. In Part One of the Facebook As Investment trilogy, I argued that Facebook had a signifiant trust gap with users that would inhibit its ability to monetize its most unique and valuable assets, and that the trust gap was recently compounded by its “IPO irregularities.” In Part Two, I’ll take a different tack and analyze the investment prospects of Facebook-the-platform. Part Three advises executives on how to isolate their social business investments from Facebook business risks. In its favor, Facebook will not have to worry about being “displaced” by another social network the way that it displaced MySpace. In the near term, this lack of competition will give the company some breathing room. However, a more daunting threat awaits, the end of the social network pureplay, but that is 3-5 years out. The post Facebook As Investment: No Replacement for Facebook But Pureplays Will Fade appeared first on Christopher S. Rollyson and Associates. The post Three-Step Executive’s Guide to Blogging appeared first on Christopher S. Rollyson and Associates. The post Triple the Value of Your LinkedIn Network by Interacting appeared first on Christopher S. Rollyson and Associates.